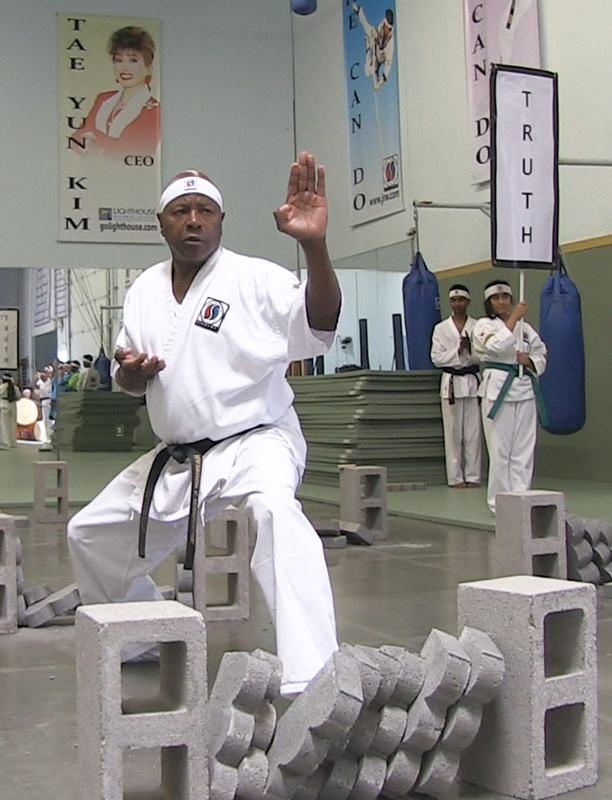 We all remember our Jung Suwon Black Belt Testing at the end of May this year. It was a fantastic event, and all three candidates came through with outstanding attitude and performance. 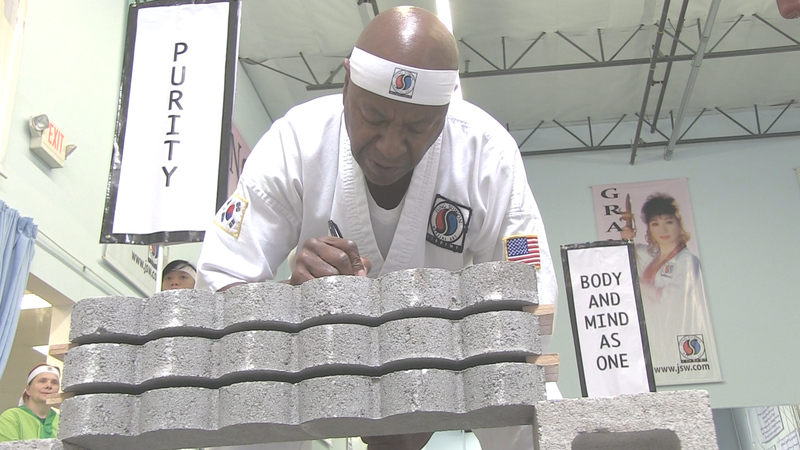 Harrison Peoples, former Army Green Beret, recipient of Purple Heart, has been training under Great Grandmaster Tae Yun Kim for 2 decades now and today’s focus of this blog is on him, and how he is showing what he has learned. 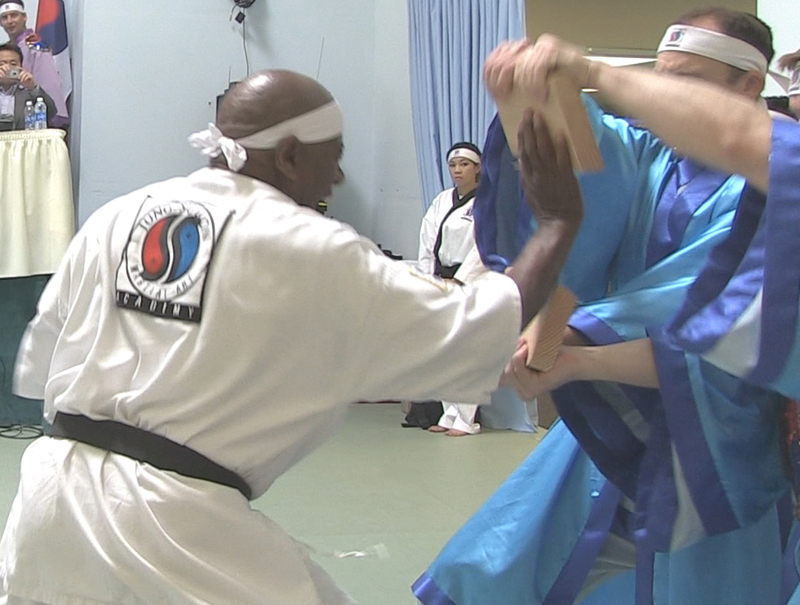 As you know, at Jung Suwon receiving your black belt is serious business. 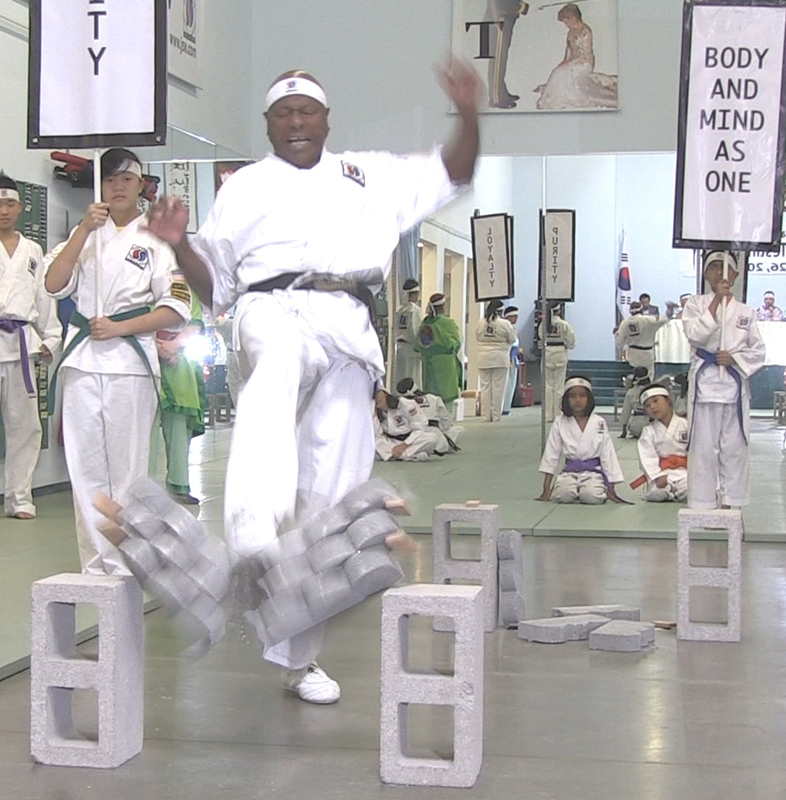 Great Grandmaster Tae Yun Kim doesn’t just hand them out. You’ll have to earn it through hard work, consistency and positive attitude. As Jung Suwon Black Belt candidate, you’ll have to stand out, you have to be different from just anyone else, and show that you are passionately working towards becoming the person you were born to be! In this blog post, we show a very small portion of the breaking part of this testing. There was so much more going on, but for now, enjoy this little snippet! Here , Mr. Peoples proves that age is only a number and there is never an end to the process of Self Discovery. Great Grandmaster Tae Yun Kim started the candidates out with board breaks – and these boards were double the thickness than our normal boards. 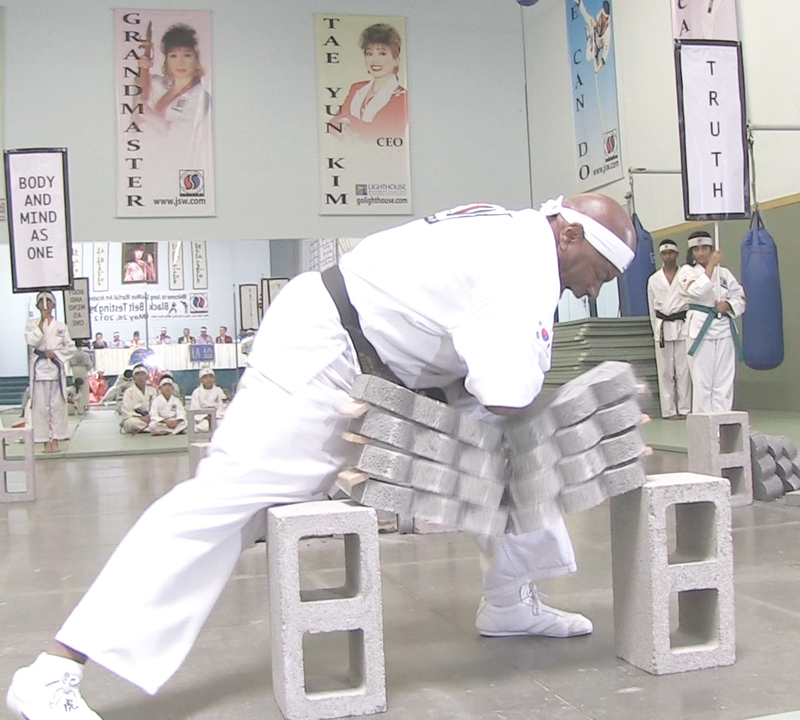 Of course, at Jung Suwon Great Grandmaster Tae Yun Kim teaches us that breaking is not just about breaking a board or bricks, but to break through our obstacles, to break through whatever holds us back in this life! Now, Mr. Peoples is ready for anything! Reblogged this on Jung SuWon Young Warriors Club!. Reblogged this on Self Discovery as a Jung Su Won Warrior.